None seems to have evinced any interest so far in the ancient city layout of Srilankan Tamil. It is unfortunate that those who are engaged in the research and investigation work about the historical facts pertaining to the kings and kingdoms have turned a blind eye to the architectural style and expertise of Tamil. Because of this indifference and black-out when research work about cities like Anuradhapuram, Yaappahuva that were capitals hundreds of years prior to the time when Nallur was Rajdhani, or, were to be, it proves a herculean task together information about Nallur Rajdhani city layout. In such a situation I have undertaken the research work on Nallur city layout to the best of my ability. My desire to study the city layout of Nallur Rajdhani was not something accidental. In my young age when I would be reading the novels of Kalki, Jagasirpian and such others I used to always wonder why it always remained a rarity to come across historical evidences about Nallur which was as famous a city as Tanjore, Madurai and Kanchipuram. When I grew in age and knowledge I could realize that the foreign rule and our people’s bent of mind which spends its time and energy in singing the past glory but remains indifferent to the need for preserving our rare historical symbols and monuments are reasons for this blackout. As proofs for the disinterestedness of our people we can cite the following. 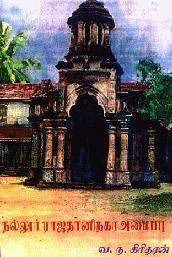 At the initial stage of this century Swami Gnanaprakasar had written a brief essay on Kopai fort. But today see the condition of the place and space where the fort was said to be once? When I was studying architecture in Moratuwa University in such a dismal atmosphere the wish to do research on Nallur City layout was renewed by several factors listed below. A write-up on Kopai fort appeared in Verra Kesari“. In recent times I am writing about Nallur in `Thayagam` Magazine too. It is my wish that as like Nallur Rajdhani the layouts of Singainager (Vallipuram), Kandharodai and such other cities too should be studied. I fully agree with the claim that Vallipuram and Singai Nagar are one and the same. The ancient symbols that can be seen on the sand banks of that region and the coinage ‘Puram’ in Vallipuram are the principal reasons for this conclusion of mine.In Tamilnadu we can come across a lot of cities that have this Suffix ‘Puram’ in their names such as the capitals of Chola empire ‘Jayankonda Cholapuram’, ‘Ulagamahadevipuram’ and also the cities Kanchipuram, Nandhipuram which were famous in Pallava period.) As Vallipuram too ends with ‘Puram’ in the same way as Maavittapuram, undoubtedly it would’ve also been a city having royal and religious significance. (The name Nallur too is of this nature. In Tamil Nadu we an come across a lot of royally and religiously significant places having names ending with the word ‘Nallur’). Persons like Dr.C.K..Sitrambalam are of the opinion that Nallur is also the residue of Cholas. The names of places such as Chembian Patru, Nallur, Vallavar Kone Pallam in Maavittapuram, Gangaikondan in Navindil are residues o Cholas here. (Sindhanai, July 84). Not only in the northern region but even in the east there are very many places and aspects that call for extensive study and research work. And, I sincerely wish that investigation is undertaken about these too. And I firmly hope that my wish would be realized one day or other. There are authentic historical evidences to claim that from time immemorial Tamils have been living in Srilanka as a civilized populace. Tamil Pranik stone –engravings belonging to Third Century B.C. have been excavated engravings belonging to in the Tamil regions of Srilanka. The excavatory researches that have taken place in Kandharodai, Aannaikkottai etc. establish how the Tamil had lived and grown as Megalithic civilized populace and the way civilization and cultural development had taken place in the Tamil regions of Srilanka in the above mentioned period on an equal footing with that of South India. There are so many significant excavatory evidence to authenticate this. The Romans had business contacts with the Srilankan Tamils. And we have records to prove that the highly civilized Srilankan Tamils had business contacts with Arabs and Chinese in the 5th Century A.D. In the 13th Century A.D. a Government of Tamil-Saivite culture had come to be in Jaffna. Agriculture and Trade were the two main fountainheads of its economy. An intensely refined cultural growth stood out as the significant aspect of this state. And, as the capital of this State, Nallur rose to fame. More than that it could be seen as the cultural identity of the government concerned. With the arrival of the Portugese, the fall of the empire came to be. And it is history that the pride and glory of Ceylon which had become enslaved in the Sixteenth Century is still fighting for its freedom.The complete history of Srilankan Tamils is yet to be written. The archelogical excavations undertaken by the Government of Srilanka have always been with the specific purpose of highlighting the pride and glory of Sinhalese and Buddhists and to ignore and even black out the worthiness of Tamils. This is indeed a well-known fact. During my years in Peradhana University as a student of history I had the misfortune of being a silent eye – witness to this practice. The department of Archeology and in particular, those like Dr. Parana Vidhana have taken great pains to fill the history of Srilankan Tamils with lots of dust and mud. And till date the official journals and books on history are actively engaged in this unjust practice. Unfortunately, the Tamil scholars who were in the Department of History in the early stage did not show any interest in throwing light on the truths of the history of Srilanka. In this darkness there came Prof. Ganapathi Pillai, who, though belonged to the Dept. of Tamil, evinced keen interest in the history of Srilanka and so entered it as an all-pervading glow. Then came Professor Indhirabala who extended and expanded this path with the help of his firm and steadfast analytical approach. And now people like Professor Padmanathan, Sitrambalam and others are engaged in probing deeper and deeper and knowing the real history of Ceylon and in this direction they are proceeding with keen interest, great sincerity and hard work. And, if their efforts give rise to a new set of historical analysists and researchers that would prove helpful in throwing more light on “Eelam” history. Modern Science, as in all other fields, has introduced a lot of new concepts and methods in the area of historical researches too and so enabled them acquire speed, accuracy and authenticity. Especially in the field of Archeology Science has thrown in a lot of light because of which there is no room for assumptions and hypothetical conclusions. Disclosure means revealing the truth and nothing else. The establishment of a University in Jaffna brought about many constructive changes. The foremost of it all is the system of unrestricted historical research and analyses.The Tamil region which time and nature have covered with sand, remain unseen and is yet to reveal its time- immemorial rich history. But, against all odds and in an incompatible and even hostile climate many researchers of the younger generation are actively engaged in unearthing this hidden history and they go about doing it with atmost are actively engaged in unearthing there hidden history and they go about doing there with utmost dedication and commitment, I know. And, I recognise the identity of learned friend ‘Macro non-Titasic’V.N.Giritharan among them and I feel immensely happy about it. These intellectuals who have come into the field of historical research and investigation with great vigour and enthusiasm are indeed the need of this hour. Let their numbers multiply.I have identified Dr.Po.Ragupathy as a powerful whirlwind in the field of Archeology. The book titled ‘Early settlements’ penned by Ragupathy ,who stood in the forefront when it came to effective archeological researches in the Tamil regions, is a valid guide to the would be historical researchers. Giritharan who has in the same way as Ragupathy, keen interest and an analytical bent of mind, had taken the subject of Architecture as his graduation course of study. From that time itself, he has nurtured a lot of great dreams about Nallur Rajdhani which had developed a great grand noble history for itself. That analytical bent of mind has come out now in the form of a brief but effectively compact hand-book of research and analyses. One and all should appreciate Giritharan for having written this book in memory of his motherland despite going through a life of sorrows and sufferings. In between those strains and traumas in acquiring the evidential proofs, with ‘patience’ and ‘seeking’ in the forefront, he has penned this book in a powerful and poignant manner. At a later period, for the researchers of the younger generations who would be living, inhaling the free air of liberty and equality this book would no doubt prove a beacon-light. In the history of ‘Eelam’ (Ceylon) Nallur has had a role to play. It was a renowned city way back at the time of Chola rule itself. Afterwards, it was the glorious capital of Jaffna state,created in a well-planned and meticulous manner. Yet, the length and breadth of this empire has not yet been fully investigated. But, undettered, on the basis of his analytical study and direct experience in the field concerned he has set out to explain logically the layout of Nallur Rajdhani. Giritharan has the principal qualities required of a historical researcher, sincerity and patience, in full. He takes into consideration even those historical evidences which have no basis and which are quite a lot. And he sets out to analyse them extensively and establish how correct or incorrect they are. This maturity of mind which is required foremost of a historian is inherent in this young author and this fact is enough to throw light on his vast knowledge and deep insight. And, his analytical bent of mind and viewpoint are further enhanced by his distinct style of writing which is at once simple and rich. Till date I have not met Giritharan. Only through his writing I have come to know him as an intelligent writer who has a seeking for more and more knowledge and wisdom who writes for a case and with a purpose. This analytical work of his reveals to us another aspect of his self. or rather, another facet of his self. And indeed, with pride and precision. Along with them those sand-covered mounds, the remains of fallen old buildings – all crowd the memory.Going farther down the memory lane I see our glorious past. Giritharan not only takes us all to that Rajdhani of the past but also make us heave a huge sigh. But, this sigh doesn’t give us sorrow. On the other hand, it renews and rejovenates our grit and determination. And, this will power tells us that soon Giritharan and myself would be standing in the streets of Nallur Rajdhani holding our head high in pride and joy. The contribution of the Tamil in the field of Architecture is hailed and applauded the world over. The norms and traditions followed in architecture and carving are our great wealth. We can even say that these make one and all view the technical knowledge and skill of the Tamils in this area, with great aston-ishment. Giritharan’s knowledge of architecture is praise-worthy. Going beyond the boundaries of his academic studies he has accumulated and enriched his knowledge in this field, taking great pains, and, with an unquenchable thirst. This book bears testimony to this trait, of the author. Especially, Giritharan’s comprehensive explanation regarding Vaasthu Sasthra. In this book, Giritharan has high-lighted the basic principles and salient features of architecture, city layout in a simple and straight manner. The way he throws light on everything providing informations and explanations this book would be a model work, for research students, I predict, and, I know for sure that my prediction won’t be wrong. I sincerely hope that the readers would help Giritharan in enabling maps and photographs relevant to this book included in the next edition. Giritharans untiring efforts, in a hostile climate where there was no access to any relevant or necessary information, has enable the book to shape so as a useful collection. And, for this the Srilanka Tamils living all over the world and also in their motherland would extend their whole-hearted appreciation and thanks to Giridhanran, And, for this achievement Giritharan can justly feel proud and happy. This book would instil in each and every Srilanka Tamil who go through this book, pride, grit and determination, self-confidence, solemn pledges and a lot more. And, this book would strengthen and multiply such feelings. And what more a writer can want to feel happy and glorious? And I extend my whole-hearted appreciation to the Sneha Publishers for bringing out this book in a splendid manner. They can justly feel proud for this. We can name the City of Singai and Nallur as those which had the honour of being the capital during the reign of Aryan emperors. When ‘Naga Arasargal’ (Naga Kings) were ruling, Kandharodai which was called ‘Kadhiramalai’, was enjoying the Rajdhani status. Those who rose up to that status afterwards ere these cities mentioned above- The cities of Singai and Nallur. It is evident that regarding these cities some confusion is prevailing amidst the historical researchers.One set of them are of the opinion that both those places are one and the same. But, the other set believe that both those two cities were separate and both of them enjoyed the status of Rajdhanis in two different period of time. As per Dr.C.K.Sitrambalam, Nallur and the City of Singai are but one and the same. ‘Generally, it can be said that Nallur was also called the City of Singai ‘(Article – Ceylon Kingdom – Eela Murasu,Canada, 25.2.94). From the proof provided by fr.Queroz , a note is there speaking of a well-fortified place named Chunguinayanar, that is Singai City, on the way from the shore to Nallur. And, it is this place which is the Singai City or Nallur that appear in Tamil Books, Kottagama Tamil charter and the stone inscriptions of Tamilnadu (Eela Murasu 11.3.94). Kailaya Malai which was believed to have been written by one Muthukkavirasar by the end of the 16th Century, or in the beginning of the 17th century, tells us of the history of Singai Ariyan I making Nallur as the capital of his empire. According to Swami Gnanaprakasar, Mudaliar-Se.Rasanayagam, Dr. K.S.Natarasa and such others, Nallur and the city of Singai are two different cities. ‘Historians claim that in Ceylon the reign of Arya Emperor had come into being in 13 A.D. And those kings of that Empire acquiring the titles Segarasasekaran, Pararasasekaran one after another, ruled the country from the City of Singai for a while, and afterwards from Nallur..’, (K.S.Natarasa’s Ceylon Tamil’s Literary Growth and Development. Page.6) ‘Unaware of Parakramabagu’s evil design Shenbagaperumal went to Jaffna and, as the old capital was destroyed, established a new city in Nallur in 1450 A.D. and with the Sinhalese title Srirangabodhi Bhuvanesubagu, ruled for Seventeen years…'(Mudaliar Rasanayaka’s ‘The History of Jaffna’, page 75). In the book ‘Yaazhpaana Vaibava Maalai ‘which was written on the basis of such works as Kailayamaalai and Vaiyapaadal, Mayilvaganappulavar himself says that Singaiaariyaarasan (The first aryan king) established the capital of his kingdom in Nallur itself. Of these two different view points prevailing about Nallur and Singainagar the contention of such people as Swami. Gnanaprakasar, Mudaliar Se.Rasanayagam, and Ka.Se. Natarasa that Nallur and the City of Singai were two different cities has acceptability. And, for this the following reasons can be given. 1)In a stone-cutting that was found in a place called Kottagama in Kekalai the following is inscribed. (“kangganamver kanniyanaiyar kaatinar kamar valaip pongoli neerch singai nagarariyar” ) In this ‘Venba’ (a species of verse form), of the phrase that glorified as ‘pongoli neerch singai nagarariyar ‘ (‘ Ariyar of singai City of thundering towering water). Se. Rasanayagam has this to say: ‘.. It is this Ukkirasingam who had paved the way for the enhancement of Singai Nagar as the Rajdhani for many Aryan emperors successively. As it is glorified as (@’pongoli neerch singai nagar’) , it becomes evident that Singai nagar was the ocean banks filled with the sound of waves. And the place so situated was established beyond doubt with the help of those very many buildings constructed in Aryan style of architecture which lie hidden under the sand along the seashore of the Temple of Vallipura and also those very many signs that were found in that area..’. (The History of Jaffna 235- 236) Swami Gnanaprakasar’s perception is also the same. As like the confusion that is prevailing regarding Nallur and the City of Singai, confusion is prevailing regarding Jaffna and Nallur also. One set of people opine that ‘Yaappapattuna’ is the Sinhalese version of Nallur and the other group holds that Yaappapattuna is the Sinhalese version of Yaazhpaanam (Jaffna). Dr. C.K.Sitrambalam, Swami Gnaprakasar and such others are of the opinion that the term ‘Yaappapattuna’ refers to Nallur only. It can be said that ‘Yaazhpaanapatinam (Jaffna City)-that which the Sinhalese books call ‘Yaappapattuna’ referred to Nallur only.’ (Yaazhpana Rajjiyam, Dr. C.K. Sitrambalam, Eela Murasu, 25.2.94). Further, as per the claims of Swami Gnaparaksar, S.W. Kumaraswami and others also it was the name ‘Yaapane’ given to Nallur by the Sinhalese which later became ‘Yaazhpaanam’. The contention of such people like Mudaliar Rasanayagam, Dr. K.S.Nataraja is exactly the opposite. They hold that it is the Tamil name ‘Yaazhpaanapattinam’ which has become ‘Yaazhppapattunae’ which is Sinhalese. “….. it is indeed a surprise how the Jaffna people had come across the name ‘Yaappapattunae’ which had appeared in a book which was written by a Sinhalese bard in Thangaalai and started using it in its modified form. Though there is harmony in meaning between the two terms Yaappapattuna and Nallur there was no need to give an already existing name to Nallur and so call it. Wonder why the Sinhalese who still retain those names that end with the term Nallur which the Tamils formerly suffixed to the various places in the country of Srilanka should have changed the name Nallur in Jaffna, and that too into a Sinhalese name. “And, one is more bewildered as to why the Tamils have failed to change the names of places and lands in Jaffna which have Sinhalese names into Tamil ones. Now, is ‘Pattuna’ of Sinhalese tongue? Even school kids would know that it is the term ‘Pattinam’. So, it becomes clear that ‘Yaazhpaanapattina’ was a Tamil name which the Sinhalese had distorted and called Yaappapattunae…” (Yaazhpaanach Charithram, P.254). (Causes for the name ‘Yaazhpaanam’…..Dr. K.S.Nataraja, Thamizhosai, 11.11.93).In the above mentioned article K.S.Nataraja cites another reason too as a decisive proof for his claim. “Further, the practice of lifting the names of cities and towns from one tongue to another and the people of the receiving tongue using them as names for their place is not at all in vogue. Then we wouldn’t be able to say why the Nallur of Yaazhpaanam is called so and not as Yabane which is considered to be its Sinhalese version….. So, we should take the term Yapane as the distorted Sinhalese form of Tamil’s Yaazhpaanam” (Thamizhosai ,11.11.93). Mayil Vahanap Pulavar’s ‘Yaazhpaana Vaibhavamaalai’ (edited by Mudaliar Kula Sabarathan) would explain clearly that a blind Yaazhpanan (a lutist) by name ‘Andhagag Kavi Veeraraghavan’ played on the flute and won many prizes and the name Yaazhpaanam resulted out of this episode. And that which was called as Senkkadaganagar by Mayivalaganap pulavar referred to the city of Singai, holds Mudaliar Rasanayagam. “..The name Singainagar must have been changed either by Mayilvahanap Pulavar or someone who wrote after him, as Senkadaga Nagar, inVaibavamaalai. During the rule of Ukkirasingan a city called Senkadaga Nagar was something never even dreamed of….” (Yaazhpaana Charithram- (The History o Jaffna) – Page 29). “..As all the books written during the rules of the kings of Jaffna (Yaazhpaanatharasar) who came afterwards state that those kings had ruled from Singai Nagar it would be fitting to say that Ukkirasingan had shifted his Rajdhani to the City of Singai (Singai Nagar). And the name Singainagar alone must have become SenkadagoNagar afterwards…” (Yaazhpaana Charithram. Page 234). As per the contention of A.Muthuthambi Pillai who has given another book titled ‘Yaazhpana Charithram’, Yaazhpaanam was the piece of land gifted away to a blind lutist by the kind called Aelaelasing who belonged to the 2nd Century B.C. For this claim of his he cites the following verse as proof:(“narai kottilankantru, nalvalanadu nayanthalippan…”). ‘-From the style of versification which is based on the Yaapu mode, it becomes clear that it belonged to the period after 3rd Century A-D’, holds K.S.Nataraja. ‘Vayapaadal’ would say that it was a lutist palying it for Vibeedanan who developed the highlands on the northern side of Srilanka and turned them rich and fertile. M.K. Anthonysil has also written a good write up on this issue in which he would say that the place in which one of the three sects of Paanas, the Yaazhpaanas lived came to be known as Yaazhpaanam. Taking all these into account we can but arrive at the conclusion given below : Rather than the claim that the name Yaazhpaanam had come into being from the Sinhalese version of Nallur- yaappapattunae, the contention that Yaappapattunae is the Sinhalese distortion of the pure Tamil word ‘Yaazhpaanam, is more applicable and acceptable. Though there is harmony of meaning between Yaapapattunae and Nallur, Mudaliar Rasanayakam’s argumentthat there was no need to give a previous name to Nallur and call it so, sounds true and agreeable. Further, that which he points out in another place – “…… and also, the islamic travellers from western countries who had got down on this shore too had called it as Jappa, Sappa, and such other terms having the same intonation…” is also noteworthy. Further, the song given below, which comes in Kailayamaalai speaks of ‘Yaazhpaanam’ and Nalla Nagar as two different places and this should also be taken into account From all these, we can arrive at this conclusion only;- That Nallur and Singai Nagar were two different Rajadhanis, two different cities/towns. Yaappapattunae is but the distorted Sinhalese version of Yaazhpaanam. The claim that Yaazhpaanam has come from the Sinhalese version of Nallur, Yaappapattunae seems to have no probability at all. Information’s regarding Nallur Rajdhani are a rarity indeed. Temples, Market place, royal Palaces, labourers’ colony, places of dwelling of court bards,warriors, traders, the fortress round the city, the other forts around the city etc. can be called the important places of Nallur Rajdhani. There are references about the famous temple of Lord Muruga, the Kandaswami temple in Nallur in several works in portugese tongue such as ‘Conquest of Ceylon’, ‘Early Christainity in Ceylon’ etc. From the notes of Queroz Swamigal, the author of ‘Conquest of Ceylon’ we come to know that Nallur Kandhaswami temple was the biggest temple in the whole of Jaffna and that there were huge walls by way of fortification built around it.Further from these works mentioned above we can also know that this Kandaswami temple was in the very same area where we have a church now. Kandhaiya Gunarasa says that the ruins seen enroute to Yamunaari were of this big temple wall. (Veerakesari 15.8.93). “… on an auspicious day and time suggested by the astrologers, after much deliberation, laying the foundation stone and raising four walls also, and constructing the doorway too, and along with them constructing a garden and a ‘mandap’ for the purpose of taking bath (Snana Mandap) and a canal with walls on three sides and brining waters from Yamuna river and mixing it with the water of the canal, building the Mandap of Justice, constructing stables for arrangement of rows of horses, and elephants, constructing warriors ‘tenaments, building an agrahara for Gangadhara Iyer, who was the ‘Brahmakula Thilagar’ in Kasi, and his wife by name Annapoorani Ammal to live, building Veiyilugandha Pillayar temple for the safety of the eastern side and Veeramaakaliamman temple for the safety of the western side and for the northern region Sattanadheswar Shrine, Thayalnayagiamman temple, Salaivinayagar temple and doing the housewarming ceremony with his better half Thilagavathiar he lived there.” (Yaazhpaana Vaibhava malai). “…Kanagasurya along with his sons and battalions come to Yaazhpaanam and fought with Vijayabhagu, and, killing him he became the king and ruled his kingdom from Nallur. As his former Rajdhani Singai Nagar had been completely ruined and turned into a waste land,seeing Nullore filled with various resources, renovated that itself, building royal streets and places and surrounding them stables of stallions and elephants that are used in warfare and a beautiful garden with full of blooming flowers with sweet smells, building workshops and dwelling places of traders and artisans who create wonders in silk and cotton, and also places which were unmatched in style and expertise and which had skilfully made windows and ventilators,and different places of dwelling for carpenters, goldsmith, painters, diamond merchants, bards, lutists well – versed in music, exclusively, areas for upper – class businessmen, for the ‘Manthras of Brahmins, dwelling places of the landlords, exclusive areas where doctors, astrologers etc., lived, separate streets for peasants and farmhands and thus he made Nallur as befitting its name, a place of excellence, making one and all wonder whether it was the city of Lord Indra, or, rather, kubera.” (Yaazhpaana Charithram,p.76-77). Let’s look at what the books have to say about the rest of the places that were in Nallur Rajdhani. Historical works offer us a lot of contradictory details about Nallur Kandaswami temple which was one of the significant features of Nallur Rajdhani. The song given below which comes in Kailayamaalai has caused the controversy. “…ilakkiya sagaptha Yenntrezhubhadha……” (Tamil cheyul) According to Swami Gnanaprakasar, Va. Kumaraswami and such others the term ‘Yennootrezhubadhu’ refers to the year 1248 A.D. And, the word Yenn In the above given verse refers tothousand(aayiram) and that which comes by adding one hundred and seventy (nootrezhubadhu) with thousand is the saga year 1170 and this points at 1248 A.D., they hold. As per one Dainel John, saga year ‘Yennoothrezhubadhu’ means 948 A.D. As per Mudaliar Rasanayaka’s contention also saga year 870 means 948 A.D. Bhuvanegubagu who was spoken of in this song was referred to as the minister of Aryan king and the one who constructed the Nallai kandan temple in such works as Kailayamaalai, Yaazhpaana Vaibhava maalai etc. But, none can hide the fact that in Nallur temple panegyric, ‘Sirisangabodhi Bhuvanegubagu was referred to as the one who brought the temple into being. It is the king called SirisangabodhiBhuvanegubagu who made Nallur the Rajdhani and ruled from there from 1450 A.D. to 1467 A.D. under the name Sappumal Kumaraya. Going by the contention of Kandhaiah Gunarasa we understand that holding as facts these two Bhuvanesgabagus an illustration to that effect had also been brought forth.He firmly concludes the first Bhuvanegubagu as but a tamil name. “..here are two other proofs to claim that Nallur Kandhaswami temple was built by Bhuvanegavagu (as like the tamil name Veeravagu)…” (Veera Kesari 15.8.93). “..Whatever be the case we can take it as that the Nallur Kandhaswami temple built for the first time by one Bhuvanegavaagu in the year 948 A.D. As some historical books refer to him as a minister there is nothing wrong in taking him to have been the state representative of the king or the minister..”. (Veerakesari 15.8.93). After arriving at this conclusion K.Gunarasa had no alternative except bringing about a compromise between the two Bhuvanegavagu. In the end he could only arrive at the conclusion that the Nallur Kandhan temple which was built in two different times by two different Bhuvanegavagu was destroyed by the porthugese and rebuilt for the third time. The historical books referred by him were in fact such works as Yaazhpaana Vaibhava Maalai, Kailayamaalai only. Many eminent analysts and researchers of history firmly believe that the historical details given in these works have no historical basis or ethics at all. And, in this issue, Mudaliar Rasanayagam’s conclusion stands out as the only conclusion that is logically acceptable. Hence, it would indeed be a surprise if the fact were to be that the NallurKandaswami temple was built by two different Bhuvanegavaagus in two different times. For, it is very unusual that the two had the same name Bhuvanegavaagu. The possibility of such a thing is indeed next to nil, to say the least. The practice of Tamil kings in Building their Rajdhanis as forts was a habit born of security reasons. In books like Yaazhpaana Vaibhavamaalai, Kailayamallai and, also in sinhalese books such as Porthukeya, ‘Gokila Sandhesam’ several reference about Nallur fort can be seen here and there.About Kanagasurya Singaiariyam who was hiding in Tamilnadu and then came back to wage war, Vaibhavamaalai has this to say: “… When Kanagasurya Singaiaryan arrived at Madurai, all the small kings who were ruling the Pandya kingdom divided into various small kingdoms, handed over their troops and weapons and with all those weapons he reached Yaazhapaanam and entered it through the western gate”. (Vaibavamaalai, page 47). And, it is too well known that the western gate mentioned here is but the western gate of Nallur fort. In the chapter on the expedition of the Portugese army also there is a reference to this Westerngate. ” ..beyond the gate, fixing the space in front of the gates of Nallur temple as the battlefield, they started the battle on the chosen day and conducted it for eleven days…”. 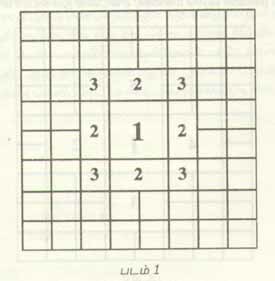 (Vaibhavamaalai, Page 70). western gate of Nallur fort being at a stone throw from Veeramaakaaliyamman temple and about the battle too. That there was a northern gate to the Nallur fort and a temple of Shiva safeguarding the gate are also referred in the story of subathitta saint which comes in Vaibhavamaalai. The historical books provide no references regarding the eastern gate or southern gate of the city. And, it is my wish to study the historical works such as those of Porthugese, with great care and attention and undertake research works on them. For, such efforts might unearth many more factual details. SOME INFORMATIONS ABOUT THE MARKET – PLACE. Rajdhani and inform us that the market was situated in such a way that the king could watch the proceedings of the market from his palace. It must be this market place that would have been the ‘royal market’ or designated market ( @muthrai chandai ) then. We could learn that during the rule of Tamil Kings the clothes sold in the market place bore the sign of the royal emblem and so sold. affixing the royal sign also. “(Yaazhpaana charithiram, page 148). Seems like the name ‘Muthirai Chandhai’ (Royal market / Designated market) must have come into vogue because of this only. There are also differing opinions about Yamunaari which is one of the Rarely seen monuments of the ancientness. One group claims that this was a tank that the Tamil Kings built for bathing purposes while the other holds that this was the sacred tank of Big Kandhaswami temple. Vaibhavamaalayar says that this tank was built by the king Singairiyarasan the First. 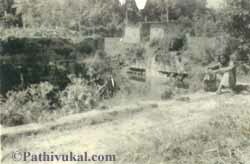 But, Mudaliar Rasanayagam who has studied history too very minutely, holds that it was Singaipararasa sekaran who was one of the sons of Kanagasurya Singaiariyan who had constructed this canal – like tank. called as Yamunaari because waters were brought from one of the sacred rivers of the Hindus, the Yamuna river, and as the chance of a big Murugan temple having existed without a sacred tank is too remote, more than the contention that it was used for bathing purposes by the members of the royal family the claim that it must have been the sacred tank of old Kandhasami temple sounds sensible. This tank, having the shape of the syllable ‘pa’ in tamil, i.e, a square – like shape, is very beautiful. Later on, during the foreign rule it must have been used by then for bathing and washing. May be that is why people like J.B. Louise must have thought that this tank was used by the members of the tamil royal family. Mudaliar Rasanayagam would say that in Nallur Rahdhani the houses were constructed in various styles for people in various professions. The way Nallur was renovated after Kanagasurya Singaiyarian won it back is described in Yaazhpaana Charithram thus. The city layout was said to be so. How much of these descriptions were true can be found out in the course of our research on the city layout plans and theories of the Hindus and also when studing the names of various roads and streets and plots ( ‘kani’ ) which are in vogue in the present day Nallur. “In Yapa Pattunae grand, tall buildings stand in rows. Golden’ flags decorate these can the aptly be compared with the City of Azhagapuri which was the capital of Lord Kubera “(Yaazhpaana Rachiyam_ Kalanidhi C.K. Sitrambalam, Eelamurasu 4.3.94). Koppaai, Pannaithurai, and Kozhumbuthurai, Kottadi which is seen close to Pannaithurai seems to be the changed version of Kottaiadi. From the books of Porthugese we come to know that there were main roads to connect these forts to Nallur Rajdhani and that all along these main roads there were check posts. Queroz Gurukkal’s ‘Conquest of ceylon describes the details of war that the portugese waged on Nallur Rajdhani. As regards the preservation of the signs and symbols of ancient time the tamils generally lag behind, we should say. We brag about our past glory and the greatness of our ancient rulers but we don’t give proper care and attention for the preservation of the symbols or monuments of our ancient glory. And, Nallur Rajdhani stands as a glaring example to this. Even those handful of historical monuments existing in the city which was once the capital are in a very pitiable state. Yamunaari which is full of bushes, Pandarakulam which is plunged deep in sickening silence with debris strewn all over, the space of land where, it is believed, the Koppai fort that has ruins fold the history of an important period of time,stoodonce – all these stand, telling us numerous stories. Though there are but afew monuments that enunciate the pride and glory of Nallur Rajdhani, theexisting plot / land names, street names and the like enable us to gatherthe details of the city lay – out of Nallur Rajadhani, atleast to some extent. aalayam, Nallaikandan aalayam – all these had been demolished by the Porthugese and then reconstructed at a later stage. Though these were not structures constructed during the period when Nallur was a Rajdhani, i.e, the capital city, as they are the replicas of the temples of the city when Nallur was the ‘Rajdhani they too remain, albeit in an indirect manner, as the monuments that highlight the city layout of Nallur Rajdhani. The junction where the street that goes eastward towards the Nallur temple and the way to the Point Pedro street come together is called ‘Muthrai Santhai’. During the period when Nallur was the capital city of Tamil kings the market place must have been here only. While travelling through this place called ‘Muthirai Santhai’, my thoughts invariably wandered for a moment towards those bygone days when the place would have been full of din and noise and hectic activities and the Arya King who used to watch its busy routine from his palace. The streets on the southwest side and the names of the plots there generally give us the impression that the area could have been the habitat of traders, royal staff, soldiers’ and such other sections of the society. names of lands and streets there and also by Pandarakulam. The following can be said as areas / places of importance. The very names Sangili thoeppu, Sangiliyan Veedhi, Arasaveedhi, Arasaveli, Pandara maaligai Valaivu, Pandara Kulam stand for the link that existed between the tamil regime and themselves. In the names such as pandara Maaligai, Pandara Kulam, the term ‘Pandara’, according to many, refers to the Tamil king. Mudaliar Kula Sabanathan opines that the term refers to Pararasasekara Pandaram. There were many kings, having names that ended with the term ‘Pandaram’. ‘Puviraraja Pandaram’ was one of them. One of the sons of Lakshmidevi, the legal queen of Pararasasekaran was also pandaram. The coconut grove encompassing some six acre area is called Pandara Valavu. In a portion of this grove which is close to the present Nallur market place and which isfacing the street ‘Paruthithurai Veedhi’ there is a pillar with the words’Pandaramaaligai’ engraved on it. Closely, there is a statue of Vairavarwith a small porch. And in this porch the following words are sculpted. “Entrance of Pandara Maalagai, a place of two thousand year old and which the Tamil kings preserved and safeguarded and prayed and where the Nallai ‘Theradip Padhi Urai Padhi’. The temple of Sri Bairava and Aadhimoolam, the god of gods – is inside’. brother-in-law: According to Swami Gnanaprakasa ,Raguvamsa was written during the reign of Edhirmanna Singa Pararasasekaran. It is the confusion which prevails as to whether the above – mentioned Pararasasekaran was singai Pararasekaran or Pararasasekaran the Eighth that has resulted in the contradiction seen above. The present location of Nallur Kandaswami temple is called Kurukkal Valavu. It might be be cause it was the habitat of the brahmins during the period of the Tamil kings’ rule that the place had earned this name, i.e- Kurukkal Valavu. The structure which is called ‘Mandhirimanai’ these days is said to belong to the Fay end period of the 19th century. Several aspects of European and Dravidian architectural styles can be perceived in this construction. The piece of land on which this Mandhirimanai stands is called Sangili thoppu. Determining whether this area belonged to the minister or the king is a bit complex. Yet, the fact that places like Arasaveli, Arasaveedhi, Sangiliyan Veedhi, Pandara Kulam, Pandara Maaligai Valavu and such other which bear exclusive significance for the royal clan alone and the fact that the place where the above – mentioned ‘Mandhirimanai’ is situated is called Sangili thoeppu are noteworthy. There could have been groves owned by the Tamil kings. Later on during the regime of the foreigners, during the period of those successors of the Tamil Kings or even after that this grove could have become the dwelling place of a minister. There is room for these possibilities too. All these are monuments that proclaim the significance of the aforesaid Northwest region. We can name the following as the important historical monuments that are seen in the north – east region. the old Kandaswami temple had been. The land on which this porch is situated bears the name `Pandiya Maaligai Valavu’ (the arch of Pandiyan palace). These above mentioned historical monuments proclaim loudly that this place was one of royal and divine significance. Having the ‘Muthirai Santhai’ (Market) as the focal point and viewing things it becomes clear that some sort of structural evenness which can be perceived there is indirectly pointing at the city layout of the ancient Nallur Rajdhari. At the same time what the historical books say of the West, North gateways of Nallur Rajdhari also came to my mind and so when I set out to see whether I could find out any information about the East, South gateways of the Rajdhari from the present Nallur city lay-out, more informations came my way. 5. The place where the old Veeramma kaliyamman temple should have been. From our investigations we could find one more thing. That both Veiyilugandha Pillayar temple and Sattanadhar temple are at an equidistance from the ‘Muthirai Santhai’. Taking into account the available historical facts as well as information’s derived from field examinations we can say with conviction that Nallur Rajdhani must have existed with some kind of structural evenness and regularity. So, all the four temples must have been at an equidistance from the ‘Muthirai Santhai’. Among the temples that were demolished during the Porthugese rule Nallur Kandhan temple, as there was a church in the place where the temple had been earlier was built in the place called Kurukkal valavu. Based on this only the Kailasanadhar temple which was built afterwards might have been constructed. Because, both Veeramaa Kaliyamman and Kailasandhar temple are at an equal distance from Kandaswami temple. Another surprising factor is that we can also see that this distance is the same distance that the Veiyilugandha Pillayar temple and Sattanadhar temple are from the ‘Muthirai Santhai’. all the four directions must have been somewhat at an equidistance from the market place. But, seeing that the Veiyilugandha Pillayar temple and the Sattanadhar temple of these days are at an exactly same distance from the place called the ‘Muthirai Santhai’ it looks like that the temples which were demolished during the rule of Porthugese must have been rebuilt in some nearby spot or at the exact spot itself. At the same time the other three temples – the Nallur Kandhasami temple, Kailasanadhan temple and the Veeramaakaliyamman temple had been built in new, different spots when their reconstuction took place. Not only that, when they were so built the other two temples must have been constructed having Nallaikandhan temple as the center. agricultural fields. And, the other two temples have been built for the safety and security of the Rajdhani. When we compared the informations about Nallur Rajdhani obtained through field research works and also the assumptions based on those informations with that of the Ancient Hindus of city layout norms and forms, many more facts surfaced. During the Vedic period itself the architectural knowledge and capabilities of Hindus had progressed a lot. The branch of science dealing with architecture was called ‘Vaasthu – Vidhya’. And, the books that enunciate this were called Vaasthu – Sasthra works. Mythological books like Matsyapurana, Vishnu dharmothra purana and so on, and books on Scripture like ‘Hayasirsha Pancharatra Agama’, ‘Vaiganasa Agama’ etc lay down the rules and regulations of temple – structure. In the mediaeval period some more books came into being in this branch of science. Manasara, Shilpaprakasha and the like are noteworthy. In Tamil also there appeared books such as Chinthamani, Sirparathnam etc. Though there exists some dissimilarities between these, they were having a common viewpoint in general. Usually the divine sculptor Viswakarma is called the principal author of North Indian books on architecture. Mayan is usually referred to as the principal author of south Indian works. From the rules and norms laid down by these books on architecture we can see how much religion had influenced the structural patterns of the city and its buildings. Till the mediaeval period all those available informations pertaining to the field had been orally passed on from father to son and so on. Only in the mediaeval period all those available informations about the field were for the first time recorded in the palmyra leaves in the written form of language. In the year 1920 a person called Stella Kramisch had studied very many of these palmyra leaves. Let us look at some of the important information’s that these leaves impart. In particular, let us look at the information’s on city layout. In the philosophies of the Upanishads of Hindus, we find descriptions about ‘Brahmam’ or Brahma. He who has no beginning nor end and who is ‘Omnipresent’ is Brahma. And, gods like Siva, Vishnu, Brahma and others are the physical images of this formless Brahma. And, he who is called ‘Vasthu Purushan’ or ‘Vasthu Dhevan’ is the one who had been created out of this formless principal image. And, having him as the focal point, the field of architecture of the Hindus had progressed. The above – mentioned books on architecture describe this image with a physical form, the Vasthu Purusha as the Vasthu Purusha Mandalam (Vasthu Male zone). And, in the same way how the physical form of Vasthu Purusha was created out of the formless brahman, the architects also while shaping the formless environment into buildings with concrete forms make it a point to do it in a way that would please and satisfy the Vasthu Deva mentioned above. From this it becomes evident that the Hindus preserved the association between Man and Universe even in constructing buildings. CIRCLE, SQUARE AND THE VASTHU PURUSHA ZONE. Those who view the buildings of Hindus and that of Budhists would easily comprehend one thing. Budhists buildings have been built in a round, circular shape. But, the buildings of Hindus are of square or rectangular shape. Anuradhapuram is one of the important cities of the Budhists. How much the round or circular shape had influenced the ancient city and building style of architecture is brought out by a sinhalese professor by name Roland Silva who has undertaken an in-depth study of the said issue. In the ancient Anuradhapura city which was created with the market place as the axis, round – shaped stupas (Thadhu Gopangal) around the city of Anuradhapura in a circular fashion, were built in two different streams, and these informations are authentically arrived at in his investigations. The circular form implies ‘motion’ or movement. Birth and Death, Night and Day – so the passage of time which moves on in a sort of circular motion is implied in the above – mentioned round shape. Further, this round shape would also refer to the nature or character of the world we are in. That the Budhists who believe more in the doctrine of materialism chose the round shape is no surprise at all. Unlike it the square – shape is a decisive and clear form. It doesn’t imply motion as like the circular form. The Hindus viewed this Universe as a square shaped space created by such others and identified the impact of time on this space in terms of ‘Rasis’ (Zodiac). From this it becomes clear that as claimed by the Neo-physics the hindus too had understood this Universe as a spatial time frame. And, the fact that the hindus who identified this Universe as a square-shaped frame have structured the buildings and cities too which had been constructed based on these laws as square-shaped (or rectangular) is not something surprising. Thus, cities and buildings were structured, keeping in line with this ‘Vasthu Purusha Mandala’ formed in square shape. Each and every god was created as small small squares. This square-shaped ‘Vaashtu Purusha Mandala’ was divided into many more small, tiny squares. And, these small, tiny squares were called ‘Padas’. Each small square would be occupied by a god. And, in the centre of Vaasthu Purusha Mandala there would be a big square comprising of many small squares. 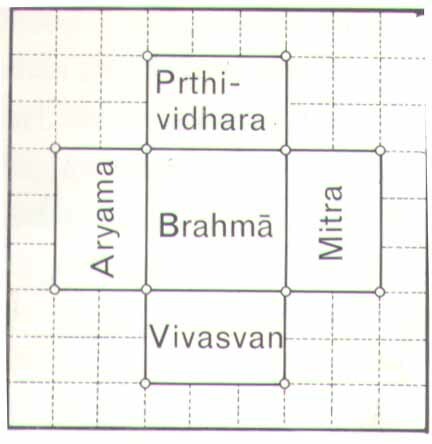 This square stood for Brahma. 2. Belonging to the next important gods 2 squares. 3. Belonging to the rest of the gods. 1 square. There were many factors that went into determining the city layout style and pattern of the Hindus. The Nature and structure of the land, the Nature & structure of its soil, the social system prevailant in the land as like the caste constraints and restrictions etc, scriptures all played an important role in the city lay-out style and pattern of the Hindus. According to the structure and quality of the land they had divided it into three categories. This referred to the dry land with no water, river and other resources. This refers to the highly fertile land with abundant water resources and cool, pleasant climate. The average kind of land that was neither Jangala nor Anopa was called thus. 1. Fortitying walls would be built round the city. 2. The city would appear as a big square comprising of so many small squares, separated by the roads, that run north-south and east-west. 3. The city would have been divided into two parts by two broad royal roads that run north-south and east-west. 4. The royal roadway thus built would differ according to the character of the city. Forn instance, in the case of big cities this royal roadway would be 12 metre width and in ordinary cities it would be of 10 metre breadth and if it is a city with just the market place, it would be of 8 metre width only. a, ‘The habitats of such people as brahmins, astrologers, the royal authorities and officers of royalty and police force should be in the North and North west regions. b, The dwelling places of goldsmiths and those who do such other works should be in the southeast reion. c, The dwelling places of prison authorities, soldiers, fishermen and cowherds should be in the southwest. d, Market place in Northeast. e, Places like the royal palaces should be in the east- So, the ancient hindus, books on Architecture say. Though these rules and regulations could not be fully adhered to while constructing a city, the dwelling places situated in the city should certainly be built with castewise divisions. All these tell us in clear terms the role that caste played in the field of city layout. The south Indian temple cities such as Srirangam, Madurai etc, reveal the fact that the South-Indian concepts and norms of Vaasthu Purusha Mandala are ideologically a little different from that of the Vaasthu Purusha Mandala enunciated in the North Indian Architectural books. 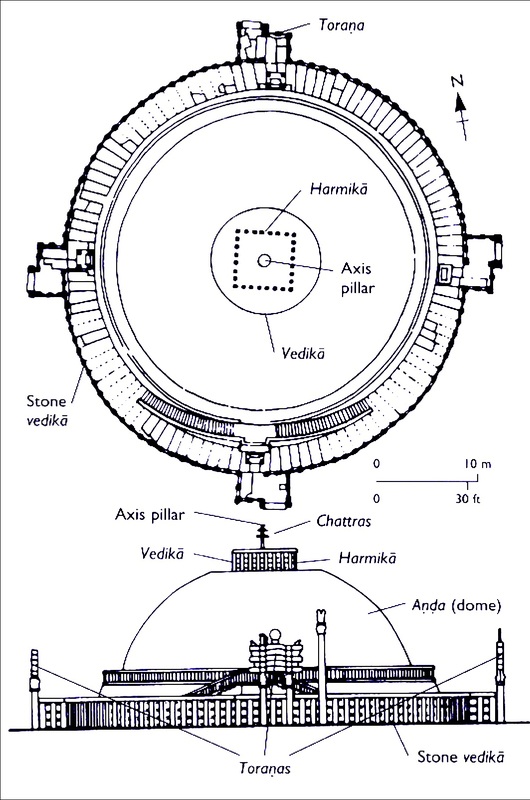 The centre space where the main temple would be situated belongs to the formless brahma who has no beginning nor end. In this region the prime temple would be built. And, there would be fortifying walls built round it. The place adjacent to this belong to the rest of the gods. And the place even beyond that belong to the human-beings. The last portion belong to the evil-spirits and ‘poothas’. 4. The region of the ‘Poothas’. If the North-Indian Vaasthu Purusha Mandala enunciates about creation, the South-Indian Vaasthu Purusha Mandala reveals the order and regularity that prevail in the ‘Created’ universe. This can be realized from the order and organization seen in the temple cities mentioned above The temple-city Madurai is a beautiful city with temple-towers. It is aptly called ‘Naan Maadak Koodal (The Communion of four towers). A renowned temple city it has in its fold temples such as the famous Madurai Meenakshiamman temple and Sundareswarar temple that have towers and fortifying walls and comprising of the ‘thousand-foot’ Mandap, the pond belonging to the temple and fortifying walls surrounding all these and entrance on all the four-sides of the walls and so built. Nallur was not just a temple city as like the city of Madurai. It was also the capital city-Rajdhani. That’s why Nallur had qualities of a temple city as well as of a Rajdhani. situated is in itself constructed in the manner of a city only. It is that region or place that is referred to as the temple city of Madura. Kanagasurya Singaiariyan who was defeated by Sabumala Kumaraya had spent his last days in Tamil Nadu with his sons Pararasasekaran and Segarasasekaran. During that period the impact that the temple cities like Madurai had on prince Pararasasekaran might have been the reason why when he expanded Nallur Rajdhani he made it into a temple city. VARIETIES OF ANCIENT INDIAN CITIES. Thus, adhering to the rules of Vaasthu Purusha Mandala, cities of numerous varieties had been built. Thanthaga, Sarvadhopatra, Nandhiavartha, Padmaga, Swaasthika, Prasthira, Kaamukaanda, Sadhurmuga ……. So they were called in various names. Of these, some varieties were best suited for small cities or villages. We can cite as example, the variety called ‘Thanthaga’. Such small cities or villages had two main gateways. 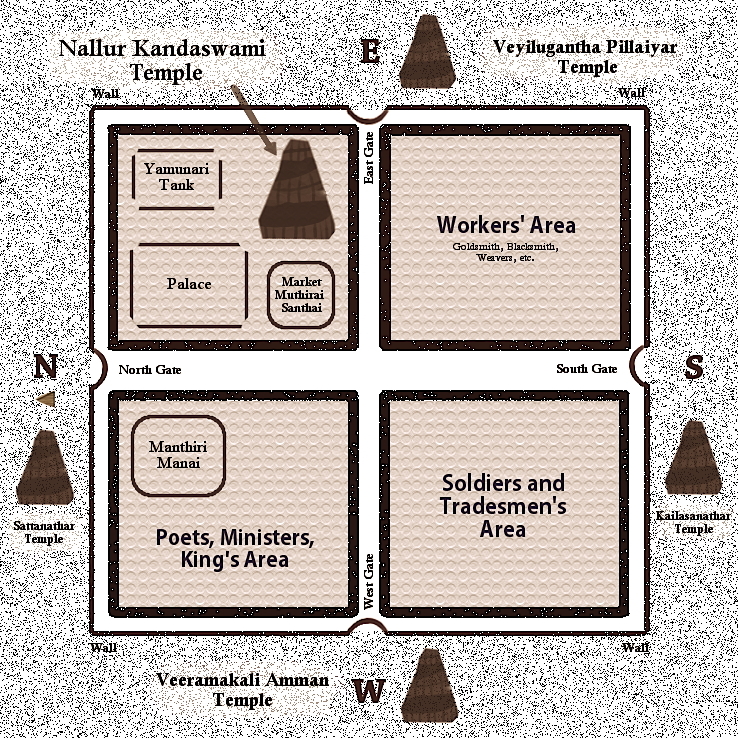 Those cities of the ‘Nandhyavartha’ variety had temple as their axis or central point. Of those varieties wherein there were two main roadways running North-South and east -west which met in the centre and which had fortifying walls too, swasthika was the very significant one. This was the most popular of all varieties. Apart from these there were some more other varieties also. Cities of these varieties remained as each belonging to a particular caste only. For instance, we can name ‘Kheta’. In this type of city the ‘suththiras’ alone were allowed to live. As they were in the lowest strata of the caste-based social system of Hindus they were considered as half-men, or, imperfect human, so to say. Hence, the cities which were constructed exclusively for the class of people were also built in an imperfect manner. The structure of such cities was such that there were no important or central place and that the lay-out of these cities was such that lent less importance to the city as well as to its structure. The lay-out of these cities bringsforth the sad state of being, of the soodras who lived in the insignificant layer of the social strata. The role that religion, caste and such other factors, played in the architectural style and pattern of the city layout of the Hindus is being revealed and highlighted even today by the informations that the books on ancient hindus’ architecture offer us. So far we have seen the historical factors about Nallur Rajdhani and also several details about the city layout and architectural norms, styles and patterns of the ancient hindus. Further, in several places I have given some facts about the Nallur Rajdhani that might have existed once. Now, let us review all those in detail. The following can be called the very first step that I took up in examining the layout of the city; that the market place of the city was situated at the centre. That there were entrances at the western and northern sides of the Rajdhani is revealed by the historical books and notes. The names of lands that are in vogue in the eastern regions of the city such as Kottai Vaasal, Kottai adi (Fort – Entrance, Fort – base) implied that there might have been the eastern entrance in that region. As the historical works hold that Veeramakaliyamman temple was safeguarding the west-side entrance and the Saltanadhar temple stood for the safety of the Northern entrance, I arrived at the conclusion that the Veiyilugandha pillayar temple must have been guarding the east side entrance. Historians claim that the king Singai Pararasasekaran had built those four temples Veeramaakaliyamman temple, Sattanadhar temple, Veiyilugandha pillayar temple and Kailasanadhar temple for safeguarding the city from all the four directions. Taking this theory into consideration I concluded that there must have been a southern entrance to the Rajdhani and that it must have been guarded by Kailasanadhar temple. After deciding on these I went on to conclude that because the Rajdhani had four gateways the city should have been divided by the two main – North South, East West roadways that connect the four entrances to the city. After arriving at the conclusion that the city was thus divided by the two principal roadways it became easy to go from there and reach the that the market place was situated in the region where the two main roads converged. place), is exactly the same, these two must have been rebuilt in their same old locations or somewhere closeby. proper for the brahmins and astrologers and the eastern region for the king. But, the informations gathered from the field research work conducted in Nallur tell us that in North western region itself, locations proper and suited for brahmins (Kurukkal Valavu) and court bard (Arasakesari) and also places like pandarakulam, Sangilian thoppu, sangiliyan street etc did exist. The reason for this could be the fact that the main Nallur Kandan temple (the region where the church is seen today) and its sacred pond were situated in the Northeastern region. Further, as the notes and references of the Porthugese describe the Nallur Murugan temple as a great grand shrine with forrtifying walls, the land belonging to the temple must have been of a huge area and circumference. And, this would have posed some difficulties. This could have been the reason for most of the places that were proper for the royalty to have been established in the Northwest region. Still, there might have been some places belonging to the king in the northwest region also. Pandian maaligai varalaru (Pandian palace) that is seen in this region lends strength to this contention. That the region belonging to those like the goldsmiths and such other craftsmen must have been in the southeast side. So opine the architectural books of the Ancient hindus. As lending credibility to this claim we come across the dyers’ street and such other places belonging to the labour class in the south-eastern region of Nallur. Likewise, the soldiers and the palace staff must have dwelt in the southwest region and the informations gathered from field research work and the architectural books of the ancient hindus prove this point. As the architectural books of the hindus say that the market place should be in the Northeast side of the city, the conclusion that in Nallur Rajdhani also there should have been a road round the fortifying walls on its inner side, was arrived at. So far we have seen how the city layout of the Nallur Rajdhani had been planned and constructed. When we look at the city structure of the ancient hindus we see that some of them were built as temple-cities and some others as Rajdhanis (capital cities). In Nallur Rajdhani’s case our research work proves that it was structured in such a way as to be atonce a temple city and also a Rajdhani. This is the reason why Nallur Rajdhani’s city layout differs from that of the other cities. And, this is its significant aspect too. The kingdom of Jaffna – S. Pathmanathan. Urban and Regional planning – Rame Gowda. Urban Geography – Prof. Jeyasingam. Early Christianity in Ceylon – Fr. Rev. peiris, Fr. Meersman. Living Architecture – Indian – Andreas Volwashen. Monumental Art and Architecture of India – K. Sundaram. The arts and crafts of India and Ceylon – Ananda coomarasamy. 4. Yaazhpaanam Endra peyar thoendriyadhe evvaaru? 6.’Eelam and the Hindu Religion’ – Polanaruvaik kaalam – Kalanidhi. 7. The Kings of Jaffna during Porthugese period – swami Gnanaprakasar. 8. Nila Alavaith thinaikala Varaipadangal (Land Survey Plans from the Dept. 9. Prof. Roland Silva’s essay on Anuradhapura Town Planning.